Discover our full range of SAW resonator products here and use our product search to find the exact SAW resonator you need. Our highlighted key SAW resonator products are chosen for their combination of highly competitive commercial pricing and large range of developed frequencies and specifications. For more information on our key product range you can contact our expert advisers here. The GSRS TC0116A SAW resonator with centre frequency of 418MHz features an industry-standard TO-39 package and has frequency tolerance of 179ppm. The 418MHz SAW resonator, GSRS TC0117A, features frequency tolerance of 179ppm and robust 5.0 x 5.0 x 1.65mm package, making it suitable for use in a wide variety of electronic design applications. The 622.08MHz SAW resonator, GSRS TC0137A, features frequency tolerance of 121ppm and robust 3.8 x 3.8 x 1.3mm package, making it suitable for use in a wide variety of electronic design applications. 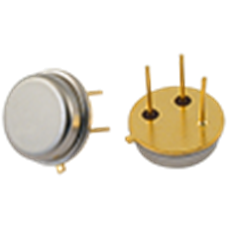 The 303.875MHz SAW resonator, GSRS TC0141A, features frequency tolerance of 247ppm and robust 5.0 x 5.0 x 1.65mm package, making it suitable for use in a wide variety of electronic design applications. The GSRS TC0143A SAW resonator with centre frequency of 303.825MHz features an industry-standard TO-39 package and has frequency tolerance of 247ppm. The 868.35MHz SAW resonator, GSRS TC0144A, features frequency tolerance of 230ppm and robust 5.0 x 5.0 x 1.65mm package, making it suitable for use in a wide variety of electronic design applications. The 390MHz SAW resonator, GSRS TC0150A, features frequency tolerance of 192ppm and robust 5.0 x 5.0 x 1.65mm package, making it suitable for use in a wide variety of electronic design applications. The GSRS TC0151A SAW resonator with centre frequency of 390MHz features an industry-standard TO-39 package and has frequency tolerance of 192ppm. The 803.306MHz SAW resonator, GSRS TC0152A, features frequency tolerance of 156ppm and robust 3.8 x 3.8 x 1.3mm package, making it suitable for use in a wide variety of electronic design applications. The 801.556MHz SAW resonator, GSRS TC0153A, features frequency tolerance of 156ppm and robust 3.8 x 3.8 x 1.3mm package, making it suitable for use in a wide variety of electronic design applications. With tight frequency tolerance of 82ppm about centre frequency 916.5MHz, the GSRS TC0154A SAW resonator is particularly suitable for wireless communication applications. With tight frequency tolerance of 86ppm about centre frequency 868.35MHz, the GSRS TC0163A SAW resonator is particularly suitable for wireless communication applications. The GSRS TC0164A SAW resonator with centre frequency of 390MHz features an industry-standard TO-39 package and has frequency tolerance of 385ppm. The GSRS TC0165A SAW resonator with centre frequency of 390MHz features an industry-standard F11 package and has frequency tolerance of 256ppm. The GSRS TC0166A SAW resonator with centre frequency of 315MHz features an industry-standard F11 package and has frequency tolerance of 476ppm. The 433.92MHz SAW resonator, GSRS TC0170A, features frequency tolerance of 173ppm and robust 3.8 x 3.8 x 1.25mm package, making it suitable for use in a wide variety of electronic design applications. With tight frequency tolerance of 48ppm about centre frequency 622.31MHz, the GSRS TC0172A SAW resonator is particularly suitable for wireless communication applications. 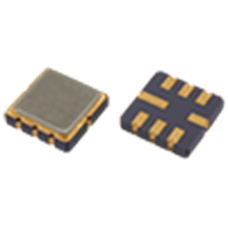 The 314.2MHz SAW resonator, GSRS TC0173A, features frequency tolerance of 318ppm and robust 5.0 x 5.0 x 1.65mm package, making it suitable for use in a wide variety of electronic design applications. The 802.056MHz SAW resonator, GSRS TC0175A, features frequency tolerance of 156ppm and robust 3.8 x 3.8 x 1.3mm package, making it suitable for use in a wide variety of electronic design applications. 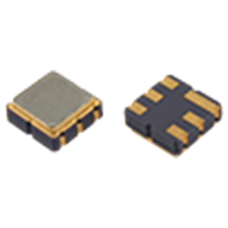 The 803.931MHz SAW resonator, GSRS TC0176A, features frequency tolerance of 155ppm and robust 3.8 x 3.8 x 1.3mm package, making it suitable for use in a wide variety of electronic design applications. The 804.681MHz SAW resonator, GSRS TC0177A, features frequency tolerance of 155ppm and robust 3.8 x 3.8 x 1.3mm package, making it suitable for use in a wide variety of electronic design applications. The 804.931MHz SAW resonator, GSRS TC0178A, features frequency tolerance of 155ppm and robust 3.8 x 3.8 x 1.3mm package, making it suitable for use in a wide variety of electronic design applications. The GSRS TC0180A SAW resonator with centre frequency of 390MHz features an industry-standard TO-39 package and has frequency tolerance of 256ppm. 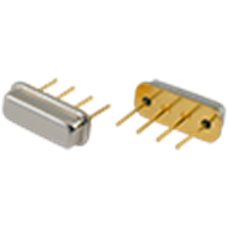 The 314.37MHz SAW resonator, GSRS TC0181A, features frequency tolerance of 159ppm and robust 3.8 x 3.8 x 1.3mm package, making it suitable for use in a wide variety of electronic design applications. The 315MHz SAW resonator, GSRS TC0182A, features frequency tolerance of 238ppm and robust 3.8 x 3.8 x 1.5mm package, making it suitable for use in a wide variety of electronic design applications.